The Seattle World’s Fair back in 1962 with its theme “Century 21” has to be the coolest World’s Fair ever. Going from downtown Seattle, you board the Alweg monorail, speeding along high above the streets to reach the exposition area. The fair was home of the Space Needle, one of the most famous Googie architecture landmarks in America, it still stands there today if you want to visit it. It was also home of the Bubbelator science ride, which took up to 150 people in a transparent sphere with the eerie space music of Attilio Mineo playing in the background. 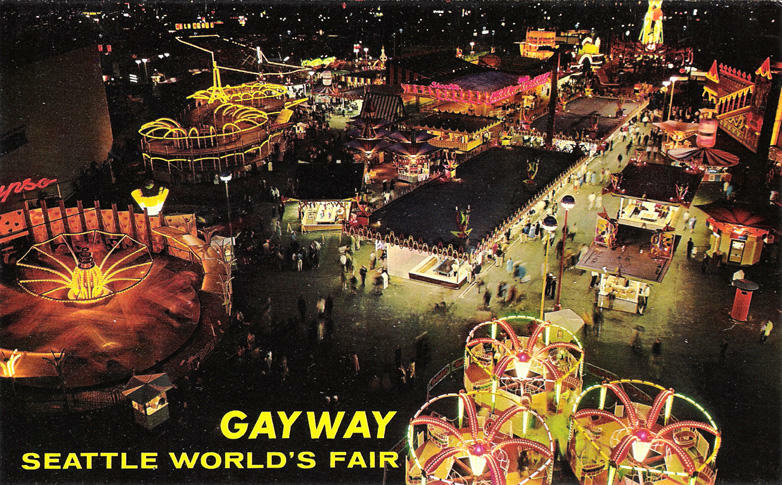 Do not forgot to take the Gayway and visit the Swedish exposition and a bite of their famed Smorgasbord.